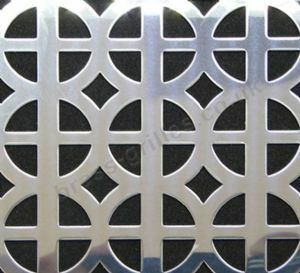 Ohio polished stainless steel decorative grille. This finish is similar to a polished chrome. Ideal for use as radiator covers, cabinets and door panel inserts, custom ventilation and general interior design and home improvement screening uses. 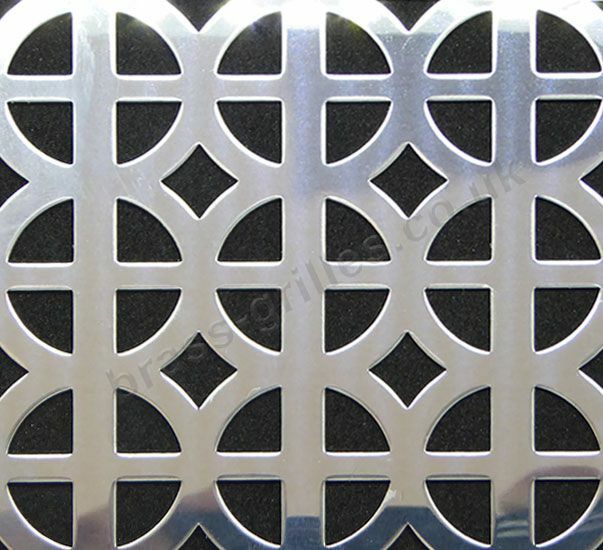 Cross shaped design polished stainless steel perforated decorative grille sheet. Sold by the sheet or in cut sizes.